With the many changes that have happened to my family this year thanksgiving was also bound to change. This year Thanksgiving was held at the new home that my wife and I had recently purchased for the fact that it was a central location for all of our families and was also so new to both myself and my wife that everyone wanted to see our place and how we had settled in. It was great to get together with everyone and celebrate the many things that God had given us throughout the year and remember all the things that had changed. 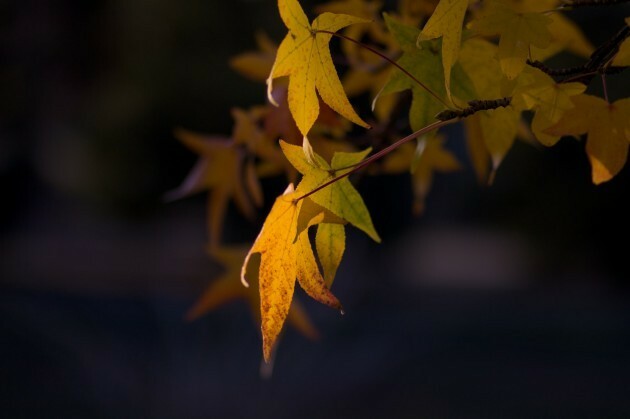 As we start getting near Christmas I would like to remind everyone in the Visalia area that now is a great time to take photographs amongst the fall leaves in our local parks. Kevin Ford Photography now has a page on facebook, though it really mirrors what is kept here on my site I thought those of you who really enjoy facebook may want to follow me there. I can be found by searching Kevin Ford Photography or you can click here. I look forward to seeing you there. There are often things that enspire great appreciation or wonderful memories and it was during the Bride and Groom only portion of a late April weddings in Tulare California that I was asked to photograph my first water tower for inclusion in the photographs from the wedding. 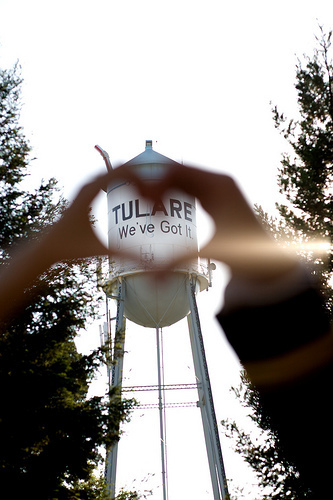 Here you can see the water tower in Tulare, California, which has a very cute “We’ve Got It” painted on the outside.. I thought that it was only fitting that the bride and groom use their hands to make a heart showing this saying through the middle. Below is the the result after a couple of tries. Thank you Mr. & Mrs. Brett Jones for your patience during the setup of this photograph.